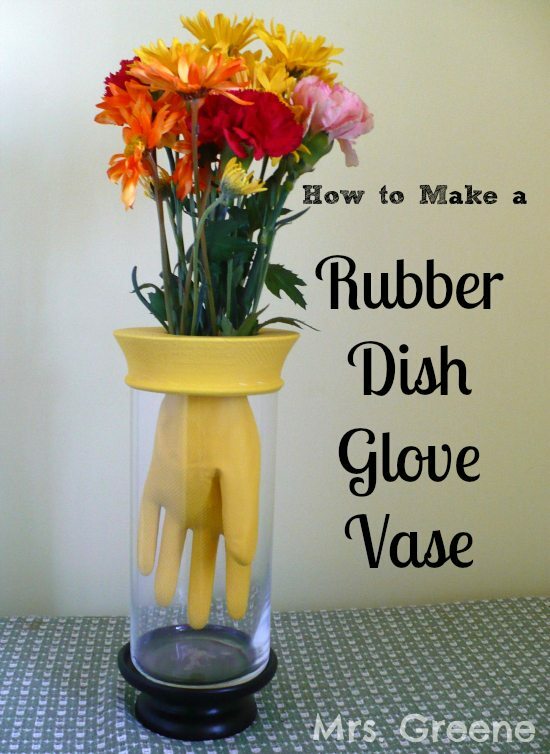 Rubber Dish Glove Flower Vase | Oh, That Mrs. Greene! 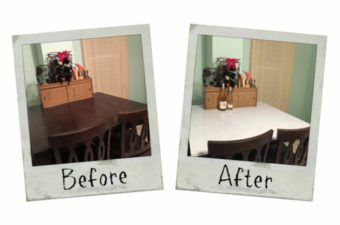 In case you missed my recent guest post at The CSI Project, here is a wacky craft project for you just in time for April Fool’s Day! Start by turning one of the gloves inside-out. 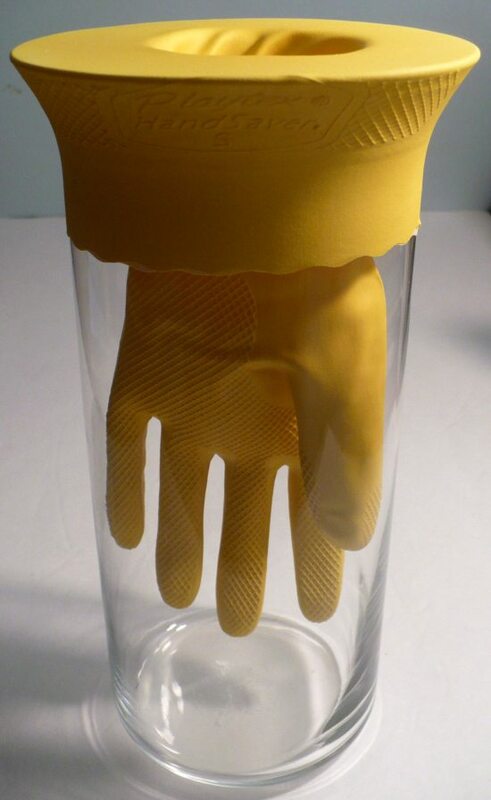 This will make them both fit the same hand so you can slide one glove inside the other. The easiest way to get one glove inside the other is to put them on your hand. 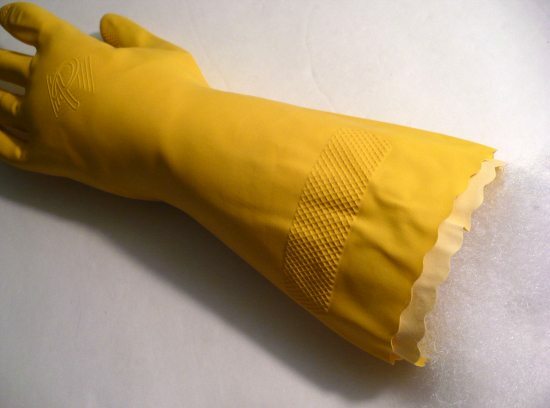 Put on the inside-out glove first, then slide the second glove over it. 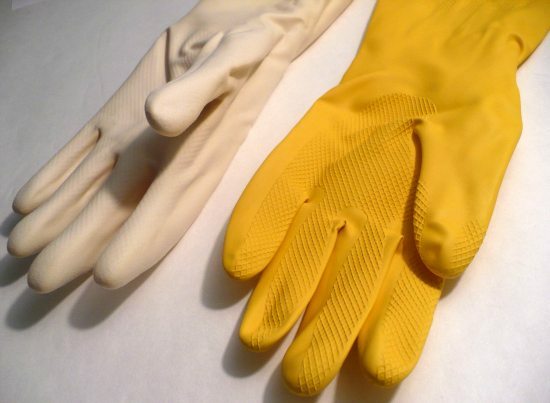 Once the gloves are doubled up, carefully slide them off of your hand. Lightly stuff the gloves with polyfill to make them hold their shape while you work. 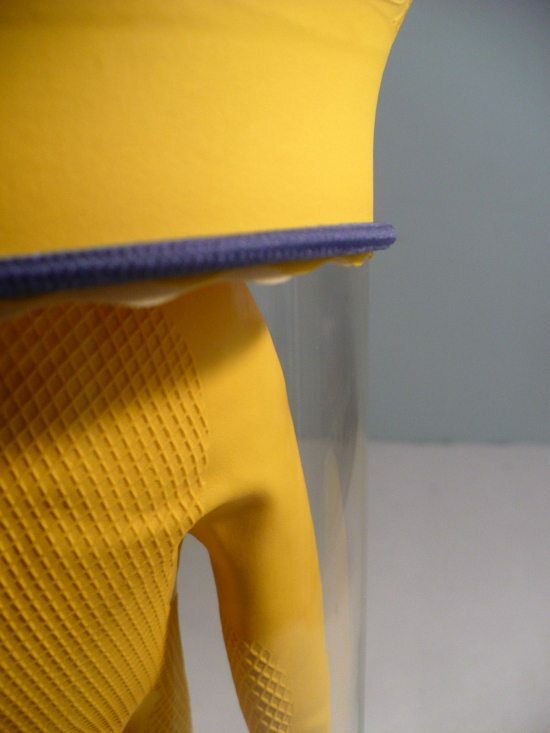 Carefully stretch the cuff of the outer glove around the flared lip of the glass vase. Make sure it is pulled down evenly all the way around. 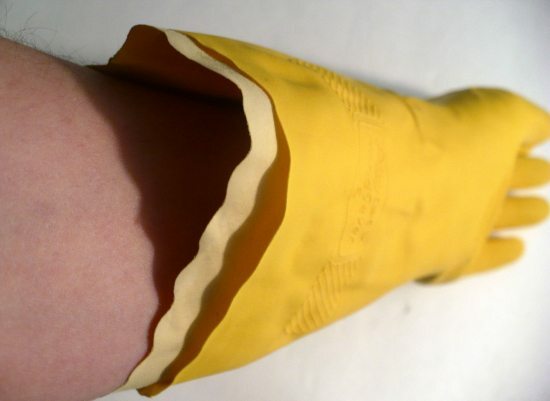 Stretch the inner glove around the lip of the vase as well. Once both gloves are in place over the mouth of the vase, place a hair elastic around the vase and line it up along the cuff of the glove. Use a thin bead of glue to secure the elastic to the glove. 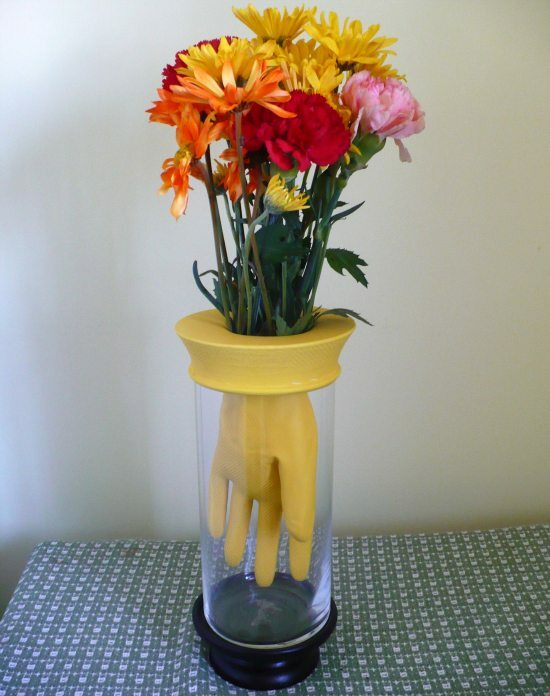 When the glue is dry, roll the elastic up toward the top of the vase to conceal it under the glove. Add a few dabs of glue to hold the rolled edge in place if needed. Remove the polyfill from inside the gloves and add water and flowers. I also put my vase on top of a pedestal candle holder for more detail. 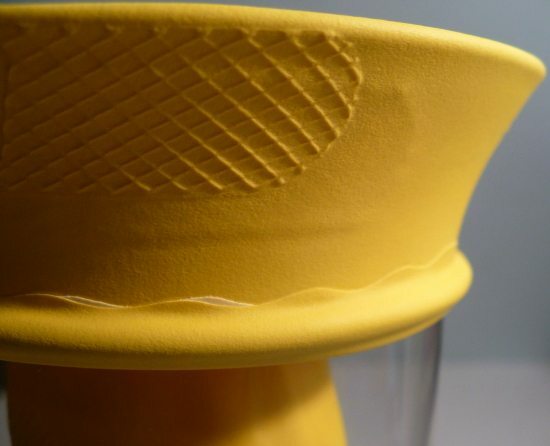 If desired, you could also add ribbon trim or other embellishments to your vase, or just leave it plain. No matter how you choose to finish your vase, it’s sure to be a conversation piece! Can’t wait to see more of your blog. We’ve have a linky party going on if you’d like to link up some projects. Idéia fantástica. PARABÉNS. I loved very much, genial.